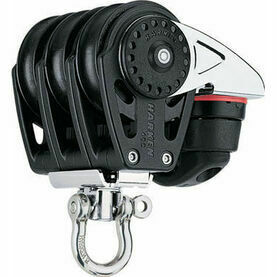 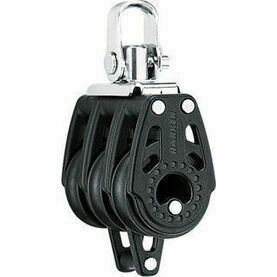 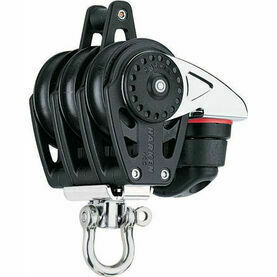 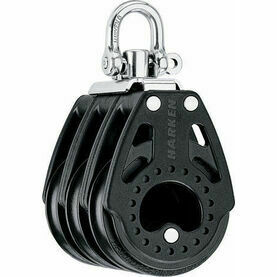 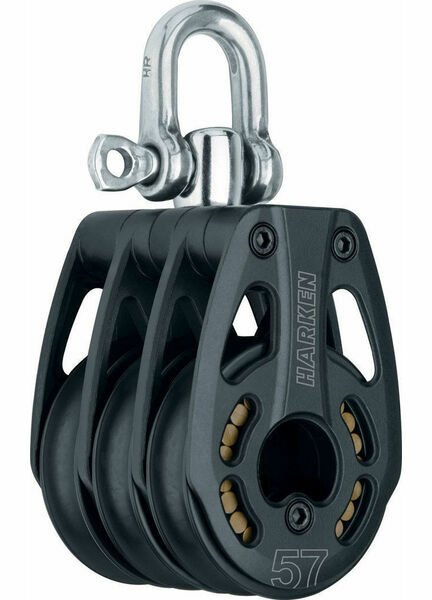 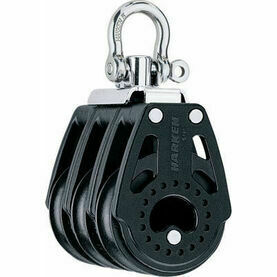 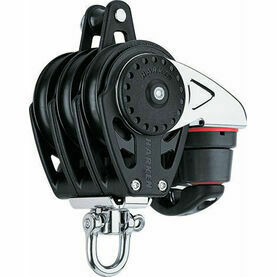 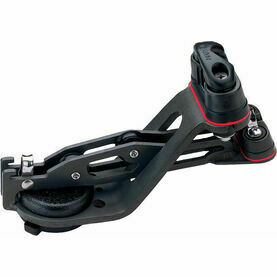 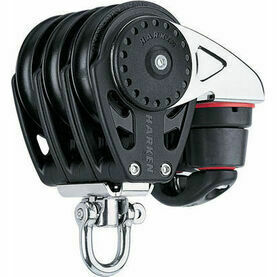 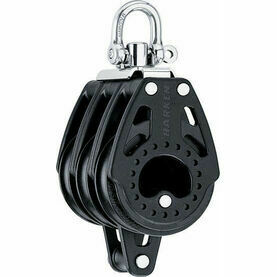 Like the full range of Harken’s Black Magic Airblock line, this 57 mm Aluminum Triple Block Swivel boasts a solid redesign that combines a sleek new look with unique, performance-packed engineering. 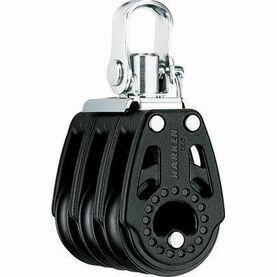 The inclusion of a free-rolling high-load Torlon® roller bearing system results in a notably high strength-to weight ratio. 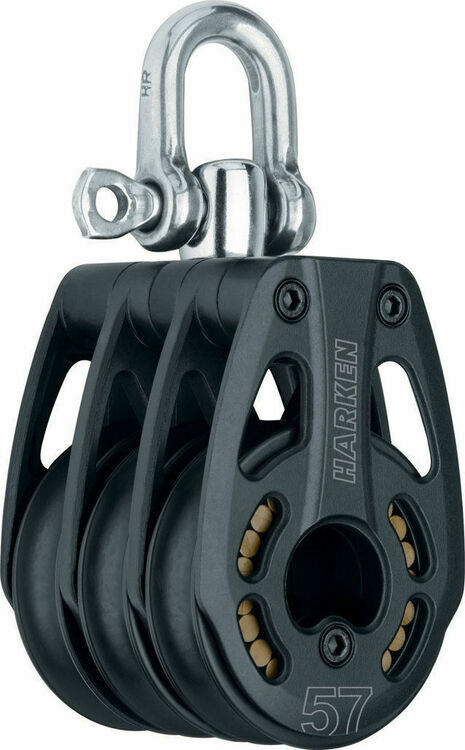 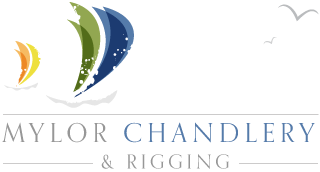 With a three-way head that swivels/locks in front/side positions, it’s also easy to dissemble the system with just a single hex wrench.